For many students, August means back to school to continue their education. For the Honolulu Rail Transit Project, August means back to the legislature to ask for more money. Hawaii legislatures have responded to Honolulu Mayor Kirk Caldwell’s call for more rail funding with revisions to SB No. 4. Public testimony for SB4 was held on yesterday on August 28, 2017 at the State Capitol Auditorium. The 3 pm start time suggests that Ways and Means Committee doesn’t really want to hear from the public; if allowed, I think that public testimony could go on for days. First, $1.32 billion would be raised by increasing the Hawaii Transient Accommodations Tax (TAT) by 1%. In theory, it sounds good to tax someone who doesn’t live or vote in Hawaii. In reality, I think we have reached a point where the TAT is excessive and may deter tourism – unless, of course, we really do want to limit tourism. Second, $1.04 billion would raised by extending the 0.5%* rail surcharge on the Oahu General Excise Tax (GET) for three years until 2030. While I don’t usually support tax increases or extensions, the GET surcharge is the fairest way to raise funds because it taxes consumption (the goods and services you buy). It lets everyone feel the impact of the tax, keeping the tax front-of-mind. Third, rail surcharge funds would be deposited into a mass transit special fund. I don’t think we should create another special fund, which could involve more paperwork and more staff to oversee the fund. If lawmakers don’t trust the Honolulu Authority for Rapid Transit (HART), they shouldn’t fund it at all. Fourth, the State Department of Taxation would reduce is administrative fee from 10% to 1% of the gross proceeds. This increases the surcharge revenue allocated to rail transit. This is long over-due. The 10% administrative fee is exorbitant; it appears to be a bribe to ensure the State’s support for rail. Fifth, the rail surcharge can no longer be used to fund operating, maintenance, administration, or marketing costs, which was not prohibited before. SB4 could have gone a step further and required a financing plan for operations and maintenance by 2018 or 2019. Sixth, the HART would be subject to an annual review by the state auditor; and a certification statement would be issued by the state comptroller before disbursing funds. Hawaii’s largest public works project should be audited periodically. I think we would all like to know how the GET surcharge has been spent, and who is responsible for rising costs and missed projections. Did you submit testimony to the public hearing on August 28? Do you think legislators came up with a good funding plan? Who is responsible if rail transit is under-funded? * Corrected: the surcharge is 0.5%, not 0.05%. Mahalo to a diligent reader who caught my typo! 95% of adults in the U.S. own a cellphone of some kind. 77% own a smartphone and 18% own a basic cellphone, according to the Pew Research Center’s “Mobile Fact Sheet” (January 12, 2017). I’m one of the 18% with a basic cellphone. My basic cellphone that suits me very well. To modern technology, it’s the equivalent of a touch-tone phone, but it’s small, thin, and light-weight, and I can password or pattern-protect it. It’s a phone you might give to an elementary school student, but I refuse to exchange it for something that can do more. For people who can’t live without their smartphones, I want to explain that my basic cellphone is smart enough. I’d rather spend money on books. I don’t want to spend extra money on a smartphone, and I don’t want to be enticed into buying a smartphone every time a new one comes out. Cellphones should not be designed to be obsolete. I want a good work-life balance. I don’t want my job to follow me home. I don’t want to answer work emails, texts, and calls when I’m spending time with family or relaxing. And I don’t want to be distracted at work by personal messages and alerts. I want to look up. I want to see people and be seen. I don’t want to look down, unaware of the world around me. Most of the things people do on smartphones, I can do on a computer – and I can choose to get up and walk away when I’m done. I confess… I sometimes “borrow” my husband’s smartphone to make phone calls – but not because it’s a smartphone. It’s the unlimited minutes that I mildly envy. But the real truth is… Instead of watching videos, texting, or peering into other people’s lives, I’d rather live my own life. Do you have a smartphone, cellphone, or landline phone? Do you constantly want to upgrade your smartphone to the latest model? How much cellphone screen time is too much? Every 10 years, the Honolulu Neighborhood Commission reviews the Neighborhood Plan and asks for input from the community. What works? What can be improved? 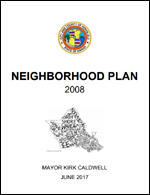 I have to be honest: unless you enjoy reviewing bills and contracts, the Neighborhood Plan is not easy reading; but the discussion about Neighborhood Boards is worthwhile. A year ago, when the Charter Commission considered eliminating Neighborhood Boards, I thought it was a terrible idea. I strongly support monthly neighborhood board meetings because they give people the chance to find out what is going on in the community and voice their opinions. The first idea I had to improve Neighborhood Boards was term limits. We need term limits at all levels of government to encourage community involvement in local issues, and we service could be limited to four consecutive two-year terms. Then I decided to challenge the very concept of Neighborhood Boards. If there were no Neighborhood Boards, how would I want to participate in the community? How could I reach out to government leaders and lawmakers? What is the most effective way I could make my voice heard? I realized that what I strongly support is the monthly neighborhood meetings, rather than the Neighborhood Board itself. The Neighborhood Board is a formal and structured system – with precise district boundaries, elections, and oaths of office – but it’s really more of a Neighborhood Advisory. In some ways they are another level of bureaucracy that separates residents from government leaders and lawmakers. We could change the name to “Neighborhood Advisory” to more accurately reflect their role as advocates for the community, and remove some of the formality of the Board – with fewer district members and more “at-large” advisers. Or we could change the focus from a “Board” to a “Forum” completely. We could keep the monthly “Town Hall” meetings with City Councilmembers, State Senators, State Representatives, and representatives from the Mayor’s Office, Police Department, and Fire Department, but instead of Board members, elect “Community Coordinators” who would organize and run meetings. The Community Coordinators (one primary coordinator and two assistant coordinators) would be liaisons between the neighborhood and government leaders. They would be social media mavens and meeting moderators who would get the word out about monthly Town Hall forums, confirm agendas, take attendance, conduct meetings, and track neighborhood-generated issues. The emphasis would be on facilitating communication, not leadership. With Community Coordinators, there would be no Neighborhood Board Commission and no Board members. We would need an Executive Community Coordinator as a resource for the Community Coordinators. Formal letters of support or opposition to community issues could be written by Community Coordinators and signed by residents at the next Forum, or offered as templates online for individuals, homeowners associations, and organizations to submit directly to government leaders. Or we would continue with our current Neighborhood Board system, fine-tuning it and changing it to account for changing technology. We would offer Google Hangouts or Skype video conferencing. We could allow comments by phone or chat, to be read aloud by Board members. We could elect a Social Media board member who would post updates and community feedback in real-time. What do you think about your Neighborhood Board? Do you attend meetings regularly, or do you feel empowered knowing that you have an opportunity to share your thoughts? When I was young, I went to Food and New Products shows with my mom at the Blaisdell Center. I went to my first music concert with my best friend at the Blaisdell Center. When my son was younger, we took him to fitness and education expos at the Blaisdell Center, and learned about opera from the Hawai‘i Opera Theatre. More recently, we watched an acrobatic performance at the Blaisdell Center. Now, the 22-acre Neal Blaisdell Center, built in 1964, is due for repairs and renovations. I missed the July 13, 2017 workshop, where the City presented a summary of the 2016 Feasibility Study and Conceptual Land Use Plan. 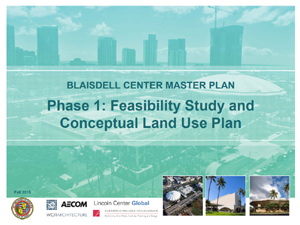 This Blaisdell Center Master Plan is based on work by a consultant team, community leaders, key stakeholders, and site users. I like the idea of increased parking and extending Victoria Street to Kapiolani Blvd, which would improve traffic flow. I like the idea of additional meeting rooms and offices above the Exhibition Hall, and the wetland garden and Kewalo Spring water feature. I admire the proposed redesign of the Arena plaza at Ward Avenue and Kapiolani Blvd, to create a prominent entrance and welcome pedestrians with a ticket office and retail space. On-site housing could help address logistics concerns. The Preferred Land Use Plan specifically states that no housing would be developed on-site, but I think we should consider a number of studio apartments, which could be used by visiting promoters, performers, and support personnel – especially for events where logistics staff need to be available at all times. The studio apartments could be built above the parking structure. To preserve Blaisdell Center’s history and performances and encourage visitors on non-event days, perhaps we could incorporate a small Performance Museum or Heritage Center near the Arena ticket office, or a “Walk of Fame” near the Exhibition Hall. Of course, the three key questions to answer are: Do we need it? Can we afford it? And can we maintain it? Do we need it? While the Concert Hall and Arena are in “acceptable condition and size,” the Exhibition Hall needs “substantial renovation.” Overall, improvements could be made for safety, Americans with Disabilities Act (ADA) issues, infrastructure and storage space, and parking. The Center could benefit from additional parking, a business center, meeting rooms and offices, retail space, and a rehearsal venue. Can we afford it? The City and County of Honolulu estimates that the renovations will cost $400-$500 million, mainly funded through City bonds. I’m concerned about the increase in major building projects the City is juggling, from rail transit and the Waikiki Natatorium to Ala Moana Beach Park and Thomas Square. I don’t know whether the budget is realistic, how long it would take to repay the bonds, or whether there would need to be an increase in taxes or Blaisdell Center fees. Can we maintain it? If the City follows the Preferred Land Use Plan, it seems that the additional parking, concessions, retail space, meeting rooms, and offices could help fund maintenance and repairs. The City’s design team is incorporating public feedback from that July 13, 2017 meeting. If you missed it, there will another public meeting in the fall of 2017. What are your first experiences with Blaisdell Center? What do you think about the proposed renovations? When I was a student, the goal of finishing high school was getting into college. We focused on earning good grades and high test scores to make us more appealing to college admissions officers. When my son started school, I started to question the content and number of standardized tests that students are required to take, before they even reach high school. 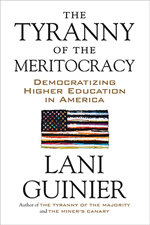 I didn’t really question the validity of standardized tests themselves, until I read “The Tyranny of Meritocracy: Democratizing Higher Education in America” (2015) by author and law professor Lani Guinier. It made me realize that I had bought into the idea of standardized tests as measuring intelligence and future success, when in many ways standardized tests are a snapshot of a student’s parents’ success. “The Tyranny of Meritocracy” challenges us to adjust our understanding of the value of test scores to college admissions, in order to better reflect what we want to value in a democratic society. It advocates that we shift from promoting testocratic merit (prioritizing individualized testing and competition) to democratic merit (prioritizing group collaboration and community contribution). According to Guinier, most American universities are admissions-driven. They focus on the single moment of admission, rather than selecting students who will be active citizens in a democratic society. The best illustration of this shift in thinking comes from Malcolm Gladwell’s “New Yorker” article titled “Getting In,” which compares the United States and Canada university admissions process: the United States selection process is like a modeling agency that recruits people who are already beautiful, while the Canada selection process is like the Marine Corps that is confident that basic training will turn everyone into a soldier. Changing the college admissions process. Instead of relying on standardized tests, Guinier asserts that we should consider a holistic admissions review, one in which “any individual’s potential is told both in the context of race and class, as well as the important role of mentorship, and the ability to work together.” She advocates more peer-to-peer instruction (pairing up students to discuss problems, so that students learn concepts and not just formulas) and peer collaboration (creating smaller study groups so that positive peer pressure encourages everyone to learn). Counter to the traditional American belief in the self-made man and the ideal that we can succeed through hard work, determination, and courage alone, Guinier creates a compelling and thought-provoking argument about the need to emphasize hard work and group effort, instead of “innate” ability and natural intelligence. What is your experience with the college admissions process? Do you think that it works or do you think it is flawed? What do we expect from university graduates and how should universities help them succeed? Summer went by so quickly, and the new school year starts this month. To get us ready for back to school, I turned to my 10-year old son. In the last few weeks of fifth grade, he wrote some tips about being a good student, and I’d like to share them with you. Don’t stay up too late and get a good night’s sleep. Pay attention to subject lessons so you understand the test and questions. Ask other people for help on questions. Always study your test subject the night before. If you don’t understand a question or answer, don’t be afraid to ask a teacher or friend for help. Always try your hardest and pay attention during class. Watch other people perform – it might give you a great idea. Even if you feel confident, always ask your coach and friends for more advice. Help your fellow public speakers. Speak with emotion and passion. Use hand gestures and don’t fidget with your clothes. If you feel nervous, think of your audience wearing underpants! Adapt to every situation and make the best of it. Always stay positive even during the darkest times. Encourage and inspire people to do good and positive things. Have many friends, and hang around them, spend time together, and always have fun with them. Always stay cool and stay one step ahead of everyone else. Get very, very good grades and stay focused on your assignments due. Look handsome and very cute. Play nerdy and geek games such as Minecraft. 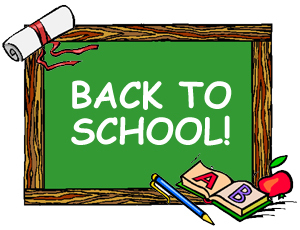 Are you going back to school as a student or teacher, or taking continuing education classes? What advice would you give to students today? You are currently browsing the Better Hawaii weblog archives for August 2017.